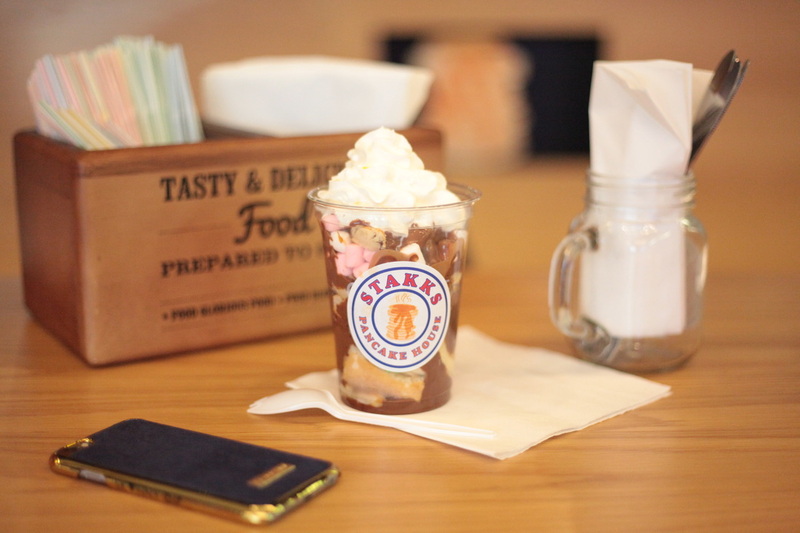 I do love to treat myself to a good sweet meal every now and then, so when i heard about the new Stakks2Go i just had to try one. 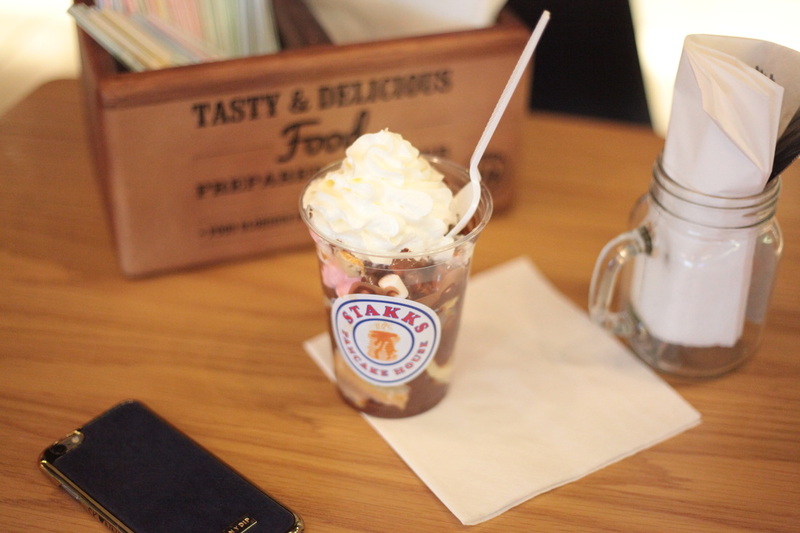 Stakks Pancake House has been open for almost a year and will celebrate it's 1st Anniversary and launch of the new menu this weekend. 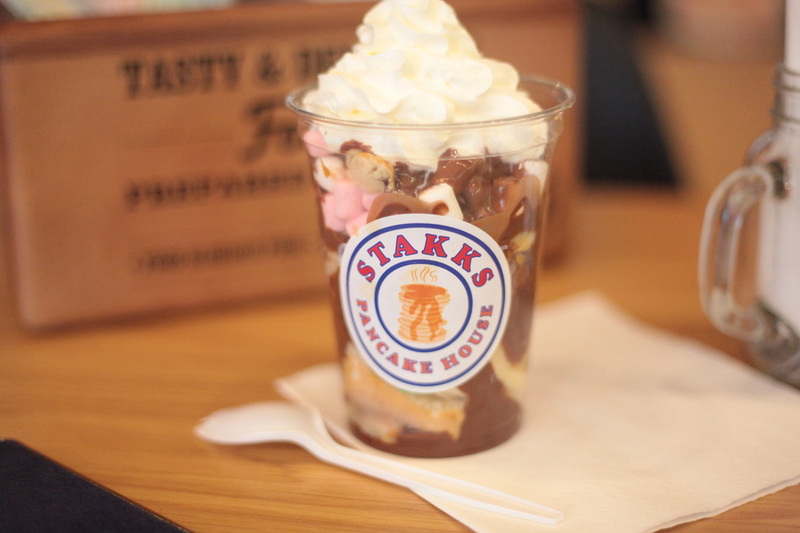 Their great new product is the Stakks2Go, all the scrummy pancake-ness in a cup! I went for one with Banana, Milk Chocolate, Dulce Leche Sauce, Maltesers, Mini Marshmallows, Whipped Cream and Pancake and skipped back to work to have a munch. It's safe to say I don't think i could eat one of these everyday! The ingredients all go so well together and the sweetness of the banana helps to chomp a bit more when the sauces soak up the into the yummy pancake. These are great if you need a sweet fix on your way back to your next class of popping back to work. Live locally? Why not come down to try the new menu and even be in with the chance of winning a free meal from Friday 19th to Sunday 21st! Students get 10% off all year round!